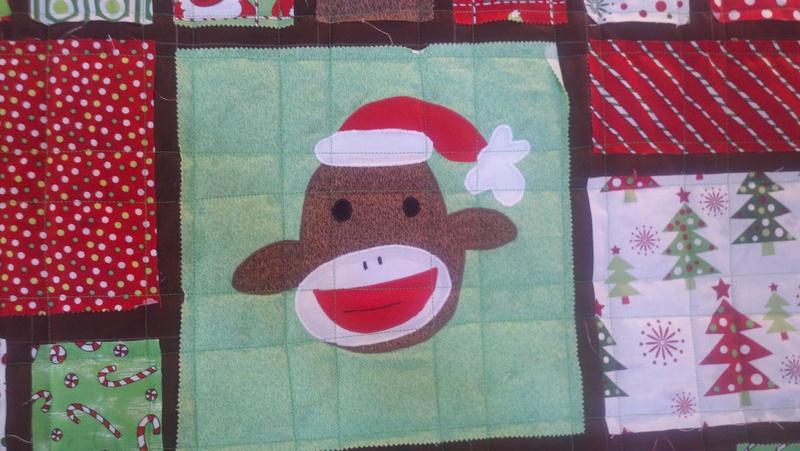 my job was to quilt straight lines just inside each side of any square or rectangle glued to the quilt top. the maker then washes the quilt and the edges ruffle up like a rag quilt. really cute!